My heart is pounding like a steam-hammer. My hands are trembling. And there's a hint of sweat on my brow as well. You'd know what I am feeling if you have ever been pushed off a diving ramp or have escaped being run over by a huge truck by a whisker. The only difference is, I also have a huge grin pasted on my face, and that's because I have just driven a surprisingly outstanding car. A car that pulses with adrenaline and drive. It has a three-litre, six cylinder petrol engine, but what makes it special is that this one is turbo-charged and makes over 300bhp of power. This car will accelerate to 100kmph and beyond in about the same time you have taken to read this sentence. For those challenged with keeping time, that's about six seconds. Of course, proper sports cars are faster still. But, what if I told you that the car in question is actually a luxury sedan ; one that costs Rs 34 lakh and not the world; and that is comes with all possible safety and pampering equipment you can think of instead of just a carbon-fibre tub with a seat, steering and some pedals, which is essentially what a thoroughbred sports car is! 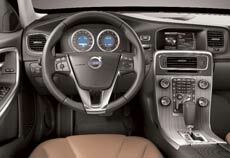 This wonderful automobile in question is the new Volvo S60, a car that has not only won accolades from automotive experts in India, but from around the world. And quite frankly, I am in love with it. Just one look at it would win your heart too. It is easily the best looking car in its segment- It's modern, has a lovely mix of curves and squared-off lines that give it both a luxury and sporty aura. Inside too the feel of luxury is omnipresent. It seems tailor-made for a younger, style conscious generation that values performance. The insides are dominated by colours like ash black and beige with a good dose of matte-finish aluminium all round. There's a lot of leather too donning the seats and door trim and in various textures. 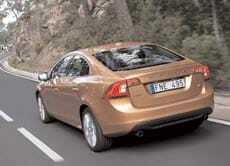 It all adds up to give the S60 a touch of class missing in the competition. And it's packed to the gills with some great features. It has everything from lane departure warning to emergency brake assist to rain sensing wipers to electronic stability program as well as a driver alert system. And that's not all. It also possesses an adaptive cruise control that works from 0-200kmph. And then there's keyless entry and start, electrically adjustable front seats, a two-zone climate control with AC vents for rear passengers and a high-end stereo with fantastic output and Bluetooth connectivity. That's a pretty impressive menu for any car. Then of course, there's the drive. The petrol engine, as I mentioned above, is clearly outstanding, and the S60 has related hardware in place to back up that performance. The engine sends power to all four wheels and even though the S60 isn't exactly a stiffly setup car (in favour of comfort), the All Wheel Drive system equips the car with prodigious amounts of grip; one that works so spectacularly that you'd have to do something seriously extraordinary to even scare yourself. The S60 is quite clearly a young man's car. The steering is a delight as well. It's slightly heavy, but is quick and gets the car pointing in the intended direction sooner and with lesser effort than one anticipates making the S60 very light on its feet. The feedback is good too and at all points during the drive, the person behind the wheel knows exactly what the car's upto. The S60 is quite clearly a young man's car. It's a car you would love to be seen in, and with the stares it draws, you will be noticed, no question. Moreover, compared to the competition, the S60 offers more, in almost every department, be it performance, the equipment on offer, the ride and handling balance, the build quality or sheer driving pleasure. As we see it, the S60 should be the default choice in this segment, no two ways about it.